Only a few days ago Minister of Finance and Economic Development Patrick Chinamasa announced that Zimbabwe's economy was now 96 percent cashless and a few days later the Reserve Bank of Zimbabwe announces that they are banning cryptocurrency without specifying the reasons. This is an extremely popular idea considering that Facebook has introduced its own cryptocurrency https://www.financemagnates.com/cryptocurrency/news/exclusive-facebook-launch-cryptocurrency-massive-ico/. Could it be that RBZ does not understand what cryptocurrency is? The RBZ should be at the forefront of these new technology currencies. As ICT professionals we would like to remind the RBZ that cryptocurrency is here to stay and the best we can do is to introduce our very own Zimbabwe cryptocurrency. Please can the RBZ advise us who they consulted, considering that none of our Zimbabwe Institution of Engineers or the ICT division was consulted to provide feedback on these modern technology developments that are taking place around the world. In Zimbabwe we have the best brains when it comes to Block Chain Technology which is used to develop cryptocurrency. The Harare Institute of Technology is leading the way. You need look no further. "As monetary authorities, the Reserve Bank is the custodian of public trust and has an obligation to safeguard the integrity of payment systems. Cryptocurrencies have strong linkages and interconnectedness with standard means of payments and trading applications and rely on much of the same institutional infrastructure that serves the overall financial system." It is important to remind the RBZ that they do not print any money, furthermore, the future is here. On about 96 percent of our transactions, we are using virtual currency which they think they control. On point number 4: "Financial regulators around the world have identified the dangers and risks presented by virtual currencies to financial stability which include risk of loss due to price volatility, theft or fraud, money laundering and other criminal activities. 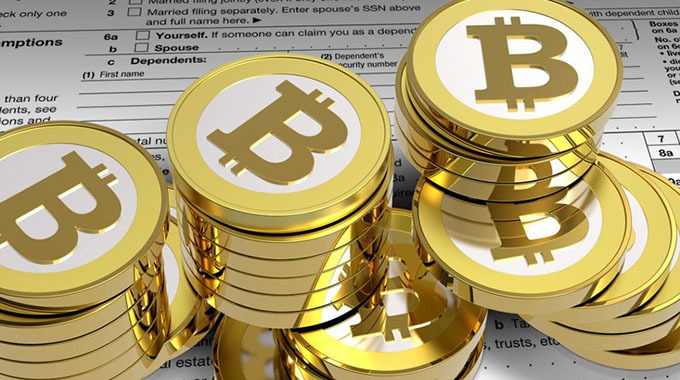 Further, cryptocurrencies can be used to facilitate tax evasion as well as externalisation of funds in violation of a country's laws." Nothing is completely secure. The Zimbabwe Information and Communication Technologies, a division of the Zimbabwe Institution of Engineers, has identified loopholes and vulnerabilities that can completely derail Zimbabwe's cashless trajectory which we can demonstrate to you at your request. Our suggestion is for the RBZ to call for a stakeholders' meeting that should include ICT professionals who can clearly explain the benefits of cryptocurrency especially in our cashless Zimbabwe. There is no going back on this block chain advancement. We should not procrastinate on something we should be embracing and implementing. Last but not least, cryptocurrency is here to stay. Visit https://www.ccn.com/almost-irresponsible-to-not-invest-in-bitcoin-billionaire-mike-novogratz/.